In 2010, FORCE: Facing Our Risk of Cancer Empowered successfully spearheaded passage of a congressional resolution declaring the first-ever National Hereditary Breast and Ovarian Cancer week. This also included National Previvor Day, an important step in giving an identity to individuals who have a strong family history and/or a gene mutation that places them at high risk for cancer but who do not have a cancer diagnosis. Previvors have unique needs and concerns that are separate from the general population as well as from individuals already diagnosed with cancer, and should be encouraged to connect with one another. The result was heightened awareness about BRCA mutations and hereditary cancers among the US population, increased competition in the genetic testing industry, and perhaps most importantly, insurance coverage of genetic counseling and BRCA testing for women who meet specific family cancer history and risk thresholds. So, what happens when a woman or man tests positive for BRCA or another mutation associated with familial cancers and needs to begin surveillance earlier than the general population, screening at increased intervals, or undergo risk-reducing procedures? Is this necessary medical care covered by insurance? The answer is not clear-cut. Health insurance companies are not required to cover any cancer screenings beyond those mandated in the ACA. As such, men who have not been diagnosed with cancer often struggle to get BRCA genetic testing covered. The 25-year-old woman with a BRCA gene mutation who needs an annual breast MRI may end up paying thousands of dollars out of pocket every year, whereas the woman with Li-Fraumeni syndrome, who should start mammograms at age 30 years, may have to meet her deductible or incur a significant copay, because she is not yet 40 years old, and therefore does not qualify for mammograms at no cost-sharing under the ACA.4 High-risk patients needing colonoscopies before age 50 years face the same issue.5 Previvors face similar challenges obtaining coverage for risk-reducing surgeries. 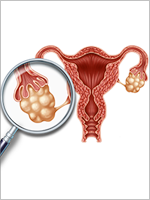 Women with BRCA1/2, BRIP1, RAD51C, RAD51D, and other genetic mutations are often advised to undergo a risk-reducing bilateral salpingo-oophorectomy or hysterectomy because of the increased risk for ovarian cancer.4 Risk-reducing mastectomy may be considered for women with BRCA1/2, PTEN, or TP53 mutations as well as for women with mutations in other genes and an extensive family history of breast cancer.4 Although not required, the majority of group health insurance companies cover these surgeries for high-risk beneficiaries, but a substantial number of previvors must first file appeals to justify medical necessity. Ultimately, many high-risk patients end up saddled with medical debt caused by large deductibles, copays, and other extraneous expenses. The clinical value of identifying individuals at high risk for cancer lies in an individual’s ability to access appropriate, evidence-based screening and preventive services that identify cancer at earlier stages or lower the risk for cancer. With dozens of genes associated with an increased risk for cancers, ranging from breast and colon, to endometrial, stomach, prostate, pancreatic, and ovarian, the need for personalized cancer screenings is growing substantially. These are our citizens at the highest risk for cancer. Patients often assume that their needs will be met, but that is not necessarily the case. Learning that they are at an increased risk for cancer is only the beginning of the journey for many of these patients, especially unaffected carriers (ie, previvors). Faced with ongoing, high out-of-pocket costs each year, many individuals struggle to get the recommended screenings or skip them altogether. Increased screening or risk-reducing surgery are, however, only part of the clinical journey for some patients. Another often overlooked issue facing high-risk patients is loss of fertility. The potential for treatment-induced infertility is well known and acknowledged in young adult patients diagnosed with cancer. Many patients are advised to consider fertility preservation via egg or embryo cryopreservation before beginning cancer-related treatment. But what about previvors? The NCCN recommends that BRCA1 mutation carriers undergo a bilateral salpingo-oophorectomy between ages 35 and 40 years. High-risk women in their mid- to late-30s who have not yet started a family are faced with some tough choices—give up the dream of having a family or risk being diagnosed with an often fatal cancer. Unlike other patients who are diagnosed with cancer, previvors have little or no access to financial assistance for fertility preservation. The vast majority of grant programs are specifically for young cancer survivors. In addition, for patients who want to utilize preimplantation genetic diagnosis to ensure that their mutation is not passed on to their children, the options for financial aid are nearly nonexistent. Although genetic testing can identify individuals at increased risk for cancer before the disease appears, it is important to recognize that this is only the beginning of what is often a long emotional and financial journey. Financial toxicity is well-recognized in the cancer survivor community and numerous programs exist in an effort to alleviate some of the burden. If the promise of personalized medicine is to be realized, we cannot overlook the parallel burdens faced by those at high risk for cancer. We need to explore ways to better ensure that these patients have affordable access to all of the services (eg, screening, preventive, and family building) they need. *The US Preventive Services Task Force Guidelines, published in January 2016, raised the recommended age for commencement of screening mammography from 40 to 50 years. The Protecting Access to Lifesaving Screenings Act of 2015, however, placed a 2-year moratorium on the new guidelines. Under the ACA, this has maintained access to annual mammogram screenings with no insurance copay or cost-sharing for women aged 40 to 74 years. De Vogue A. Supreme Court strikes down BRCA gene patent. June 13, 2013. https://abcnews.go.com/Politics/supreme-court-strikes-brca-gene-patent/story?id=19392299. Accessed August 8, 2018. Jolie A. My medical choice. May 14, 2013. www.nytimes.com/2013/05/14/opinion/my-medical-choice.html. Accessed August 8, 2018. US Preventive Services Task Force. BRCA-related cancer: risk assessment, genetic counseling, and genetic testing. Updated March 2017. www.uspreventiveservicestaskforce.org/Page/Document/UpdateSummaryDraft/brca-related-cancer-risk-assessment-genetic-counseling-and-genetic-testing. Accessed August 8, 2018. National Comprehensive Cancer Network. NCCN Clinical Practice Guidelines in Oncology (NCCN Guidelines): Genetic/Familial High-Risk Assessment: Breast and Ovarian. Version 1.2018. July 11, 2018. www.nccn.org/professionals/physician_gls/pdf/genetics_screening.pdf. Accessed August 8, 2018. National Comprehensive Cancer Network. NCCN Clinical Practice Guidelines in Oncology (NCCN Guidelines): Genetic/Familial High-Risk Assessment: Colorectal. Version 1.2018. July 12, 2018. www.nccn.org/professionals/physician_gls/pdf/genetics_colon.pdf. Accessed August 8, 2018.